In our continuing series on the impact of dental health to systemic diseases, this month we are discussing the direct link between periodontal disease and diabetes. It is well-documented within scientific and medical communities that a committed dental care routine can positively affect glycemic control. Conversely, here’s how the lack of proper dental care can affect diabetes and glycemic control. Diabetes is a global epidemic. 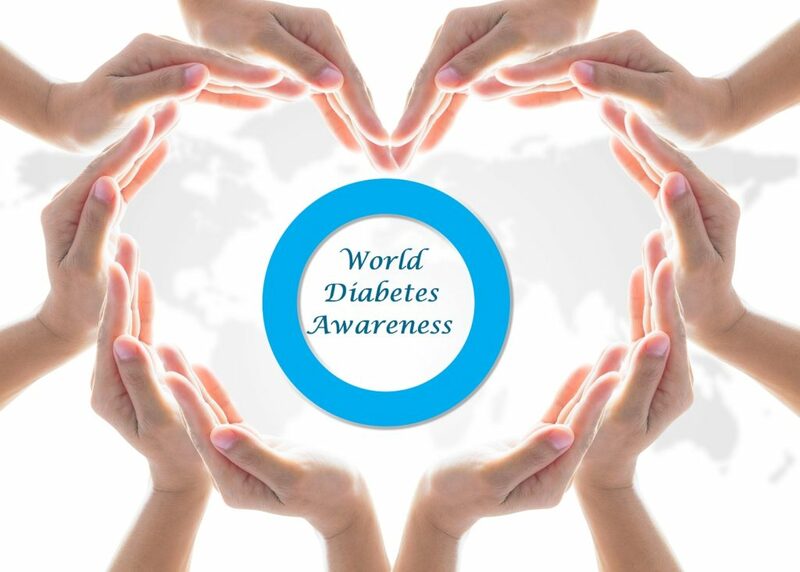 In the U.S. nearly 25 million persons are living with diabetes and 79 million are pre-diabetic. Globally, over 400 million people have been diagnosed with diabetes, and Type 1 childhood diabetes is at an all-time high. Left uncontrolled diabetes can have life-threatening consequences including loss of eyesight, lower limb amputation, kidney failure, and death. In conjunction with a customized health care plan provided by a doctor, there are additional, simple steps that can be taken to help control diabetes and live an active lifestyle. Periodontal disease is a systemic disease. Systemic diseases are infections that occur in the bloodstream. As a result, the infection is able to travel throughout the body impacting other organs as well as negatively interacting with other diseases. Diabetes is also a systemic disease. There is an established relationship between periodontal disease and diabetes, with chronic inflammation as the common denominator. Adults over the age of 45 with non-controlled diabetes carry a high risk of periodontal disease and one-third will have severe periodontitis. No wonder The American Diabetes Association has ranked periodontal disease as the sixth leading complication of diabetes. There are over 700 distinct species of bacteria living in our mouth. In the absence of a good dental care routine these bacteria increase plaque build-up and gum inflammation which leads to periodontal disease. Unchecked, the inflammation worsens affecting the metabolic system. The metabolic system is responsible for converting food to fuel for your cells, among other things. With diabetes, insulin production is impaired, making metabolism of carbohydrates difficult. In the presence of diabetes and periodontal disease, the body suffers in its ability to provide adequate blood flow to its organs. The presence of severe periodontal disease in diabetic patients increases a person’s risk of complications such as heart attack and stroke by a whopping 82%. Reducing this multi-factorial relationship begins with a regular brushing routine, in-office cleaning, and checkups. Following the Daily 4 of brushing is the first step in eliminating harmful bacteria before it causes damage. Twice annual checkups to your dentist include x-rays and a more detailed exam to ensure the health of your mouth above and below the gumline. Persons with poorly regulated diabetes should consider a tighter maintenance schedule, with cleanings every 3 months. Regular dental cleaning tends to reduce A1c in diabetes, the average blood glucose levels in the body. Indeed, whereas periodontal disease is an aggravator of diabetes, regular dental care can modify risk factors between oral disease and diabetes. Diabetes is often first suspected by the dentist. Certain oral issues including multiple abscesses, constant dry mouth, delayed healing, and a specific and chronic sweet smell to the breath, are clinical signs of diabetes. As the first point of contact, your dentist may refer you to your doctor for further testing. Once diagnosed, your dentist will determine a dental care routine that is best for your situation. Diabetes does not have to be life-altering. The first step is taking a proactive approach by developing a health care program with your physician and a dental care routine with your dentist. November is recognized as Diabetes Awareness month and what better time for a checkup? Contact our office today for a cleaning or to discuss any oral concerns. At Imperial Dental Center we care about your whole health. Dr. Angelov is a guest contributor, currently Professor and Chair of Periodontics and Dental Hygiene at the University of Texas Health Science Center at Houston.